For successful combat it is necessary not only a good sight but few additional aspects. For example convenient autoaim, which can make even a takeover target even for the obstacles. Also an indicator that will display information about the enemy: the name of the military equipment. With this information you will know your opponent in the face. All these requirements are present in one good mod. It is also very convenient for players to customize the function you select range, font and the indicator by yourself. 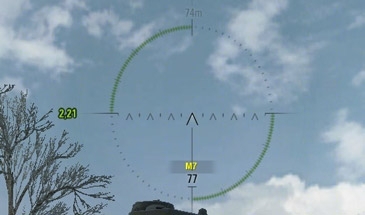 This you can do in a file WOT \ res_mods \ 0.9.17\ scripts \ client \ gui \ mods \ autoaim_indicator.json.